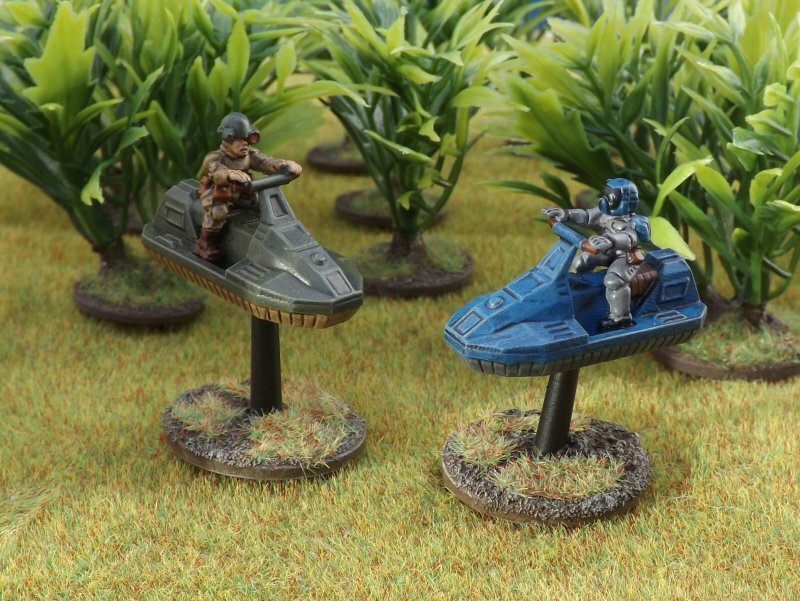 New this week we have some skimmers to get you infantry zipping about the battlefield at top speed. These are small, one-man hover vehicles used by some infantry units in the Hammer’s Slammers universe either in place of or as a supplement to normal APCs. There are two options for the skimmer crew – a British infantryman or a PacFed one in full heavy armour. Both come in packs of four 2-piece skimmers and separate crew figures. Units that use skimmers in the Hammerverse include the Wolverines, Anders Legion and the Eaglewing (the Slammers regiment themselves also use skimmers – you can already buy those from Ground Zero Games).